A ‘Veteran Employment Report’ by the WithYouWithMe group shows veteran unemployment in Australia sits at about 30.2 per cent, which is five times higher than the national average. Underemployment is also high, at 19 per cent, meaning those who find work are often performing jobs that do not match their skill sets or earn much less than they did previously in their defence positions. The WithYouWithMe report authors estimate that Australian Defence Force (ADF) veterans are underpaid by about $130 million each year and, without industry intervention, face an uncertain future. “Many veterans under-sell their skills, believing their career has been one-dimensional. But most have been extensively trained and their experiences and knowledge are a highly transferrable fit for many mining and associated industry roles – from management and on-site work to training, leadership and diplomacy. Typically, veterans breed integrity and hard work and have shown leadership under stressful conditions,” said Katherine Blacklock, Manager Human Resources from Macmahon – a mining service company that actively hires veterans. She said successful shift from military-to-civilian working life is a problem that governments, commercial industry sectors and companies such as ours have been attempting to crack for many years. Typical obstacles include veterans themselves failing to recognise how their defence skill sets suit an everyday job, and a nervousness by employers about hiring a veteran. Miners such as Fortescue Metals Group (FMG) are also getting on board with programs specifically targeting ADF veterans. The company recently rolled-out an initiative to take-on current and former members with Ironside Recruitment for trades roles at its mine sites in the Pilbara. Through this four-week ‘Rapid Trades Upskilling’ program, 51 veterans have now started work at Fortescue’s operations as heavy diesel mechanics. “The program was designed to build on the veterans’ experience as heavy road transport auto-mechanics and allow them to specialise in heavy mobile equipment mechanics and complete high-risk work licences,” said FMG chief executive officer Elizabeth O’Farrell. She said FMG had separately employed 41 veterans at its Christmas Creek operations and 10 at Cloudbreak. FMG also participated in a national roundtable discussion in November hosted by the Prime Minister’s Industry Advisory Committee on Veterans’ Employment. 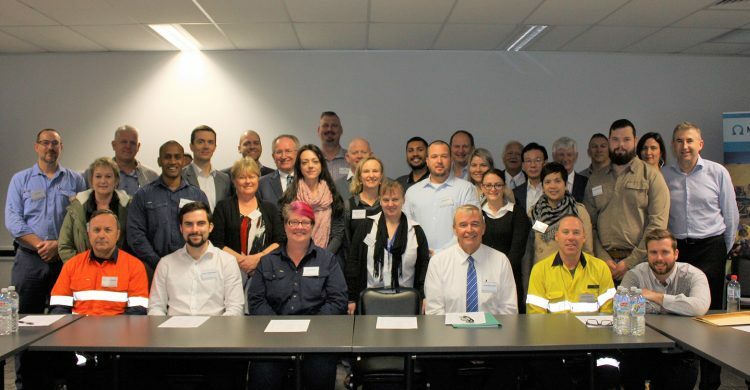 This attracted several stakeholders from the wider mining, resources and energy sectors, who were told they would do well to engage with veterans, given the backdrop of Australian Bureau of Statistics projections of a 2.5 per cent growth in demand for jobs across the industry by the year 2023. In 2018, there was a 36 per cent increase in job demand in the mining sector, as reported in the latest analysis from DFP Recruitment’s national Mining and Resources Job Index. It has facilitated creation of a ‘Corporate Fellowship Work Experience Program’ to mentor transitioning and disassociated members of the ADF, focused on determining what areas they want to purse after their military career. “For potential employers of veterans, there are essentially three things to get right,” according to Mrs Blacklock. She said preparation was vital, including undertaking an individual skills assessment and getting a better understanding of experience levels. Marketing and networking is important to be able to engage with this group. And there needs to be general recognition of the exceptional potential value that veterans can make to an organisation when designing training and employment programs. “It’s worth noting that ADF members may be entitled to government assistance prior to their separation. This can be in approved absence from duties to undertake work experience or participate in training to determine if their skills are relevant to the next phase of their working life. Veterans might identify a skills gap and be eligible for training courses during their career transition,” said Mrs Blacklock.